Shiny Crystal Onix in game: 28 Who? Important notice! Pokemon Shiny Crystal Onix is a fictional character of humans. 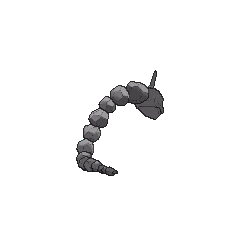 Onix resembles a giant chain of gray boulders that become smaller towards the tail. It has a rocky spine on its head and a pair of black eyes right beneath it. This Pokémon has a magnet in its brain that serves as an internal compass. Its body absorbs many hard objects, making its body very solid. As it grows older, it becomes more rounded and smoother, eventually becoming similar to black diamonds. Onix tunnels under the ground at over 50 miles (80 kilometers) per hour, which causes tremors and a terrifying roar that echoes a long way. The massive, winding tunnels it leaves behind are used as homes by Diglett. Onix loves to eat the large boulders it encounters while burrowing underground. As seen in the Pokémon Stadium series, Onix is capable of rotating its head, or any part of its body, in a full 360 degrees. It is a very aggressive Pokémon that will constantly attack humans and other Pokémon when in pain, as seen in the anime. Onix can be found in mountains and caves, though it prefers underground tunnels with little light. 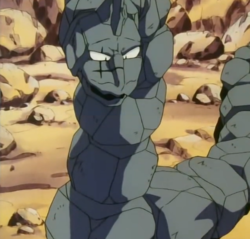 Onix's first major appearance was in Showdown in Pewter City under the ownership of Brock. He used it in his journeys in Kanto and Johto before giving it to his little brother, Forrest, in A Family That Battles Together Stays Together!. At some time before Grating Spaces, it evolved into a Steelix. Ash and his friends encountered a giant Onix in To Master the Onixpected. It was on a rampage until Bruno managed to pull a Sandslash out from two of its boulders. Bruno captured the Onix afterward. An Onix made its debut appearance in Pokémon - I Choose You!. It was the next Pokémon an unknown Trainer chose after the opponent's Gengar put their Nidorino to sleep. In Hello, Pummelo!, Drake of the Orange Crew owns an Onix and he used it to fight Ash's Squirtle in the second round in the Orange League Champion match. 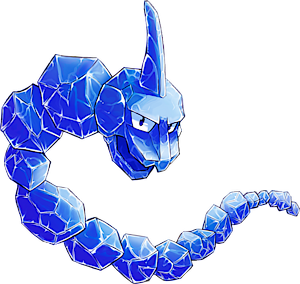 Several Onix appeared in Tunnel Vision where they resided in the Onix Tunnel and attacked anyone who attempted to pass through it. Janina, Jasmine's apprentice, has an Onix in the episode Fight for the Light. Her Onix was heavily coated in wax for protection against Water attacks. A "King Onix" was featured in Hooked on Onix. Team Rocket tricked King Onix into thinking Ash and his friends were going to destroy his kingdom. When Ash managed to convince King Onix that he and his friends weren't bad by defeating it in a battle, Team Rocket tried to steal the royal Rock Snake Pokémon, but their plan was foiled, as usual. Roark's Onix was first seen in Shapes of Things to Come where it was used against Paul's Elekid and Chimchar. It later battled Ash in A Gruff Act to Follow! and O'er the Rampardos we Watched!. Multiple wild Onix appeared in Expedition to Onix Island!, with one of them being Shiny. An Onix appeared in Breaking Titles at the Chateau!, under the ownership of Grant. It was used at the Battle Chateau in a battle against Viola's Surskit. It appeared again in Climbing the Walls! where it battled with Froakie. An Onix appeared in Mewtwo Strikes Back. Multiple Onix were among the Pokémon seen at Professor Oak's Laboratory in Showdown at the Po-ké Corral. An Onix, under the ownership of an unnamed Trainer, was treated by Nurse Joy in The Joy of Pokémon. An Onix belonging to the natives of the Golden Island, appeared in Meowth Rules!. Multiple Onix also appeared in The Power of One. 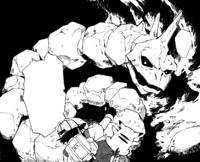 An Onix was seen in a fantasy in The Rivalry Revival. A fantasized Onix appeared in Type Casting. A Breeder's Onix appeared in Beauty and the Breeder participating in Bonitaville's Pokémon Beauty Contest. An Onix, under the ownership of a Trainer, appeared in Celebi: Voice of the Forest. An Onix was one of the Pokémon defeated by Wings Alexander's then Hoothoot as seen in his flashback in Throwing in the Noctowl. An Onix appeared in the opening of Destiny Deoxys. An Onix made a brief cameo in Pokémon Mystery Dungeon: Explorers of Sky - Beyond Time & Darkness. An Onix appeared in Steeling Peace of Mind!, and again in Promoting Healthy Tangrowth!. An Onix appeared in A Rivalry to Gible On!. An Onix appeared in Bucking the Treasure Trend! where it attacked Team Rocket. An Onix appeared in the opening scenes of Zoroark: Master of Illusions. XY020 Onix Serena's Pokédex Onix, the Rock Snake Pokémon. 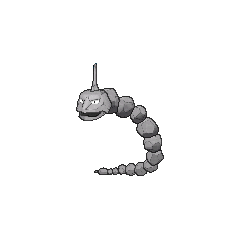 Onix takes an enormous amount of soil to its mouth composing long tunnels. Onix debuts in Onix is On! of the Red, Green & Blue chapter as Brock's main Pokémon, however a picture of it is shown on a leaflet in Wanted: Pikachu!. 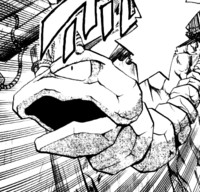 Onix later continues to make appearances with Brock in various volumes onwards. Later an Onix appeared as a silhouette when Green explains about Mew in The Jynx Jinx. Bruno battled against a wild Onix in Ponyta Tale with his Hitmonlee. Bruno owns an Onix which first appeared in Punching Poliwrath, where he battles Bill, Lt. Surge and Red on Cerise Island. The Onix later manages to carry Bruno and Koga off the collapsing island. Another Onix appeared in Can You Diglett? in a fantasy when Agatha and Lorelei explains to Red about how Pokémon and people can't coexist with each other. Another wild Onix was also seen on Cerise Island in Make Way for Magikarp. 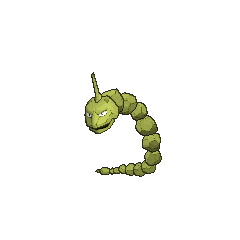 Another Onix appeared in The Last Battle XIII as one of the Pokémon sent to help the fight in Ilex Forest. Roark has an Onix which he used it during Platinum's Gym Battle in A Conk on Cranidos's Cranium. Giovanni sent out his Onix to prevent Red from interfering with his plans on breed Mewtwo in Bring Down the Strongest Pokémon!!. Byron has an Onix which was used as an obstacle in a challenge in Challenge! The Fortress Of Steel!!. Opening its large mouth, it ingests massive amounts of soil and composes long tunnels. Onix is the only unevolved Pokémon that is used in the Pokémon World Tournament by Trainers beyond the right attendant. Of all the Pokémon that can evolve, Onix has the highest base Defense. 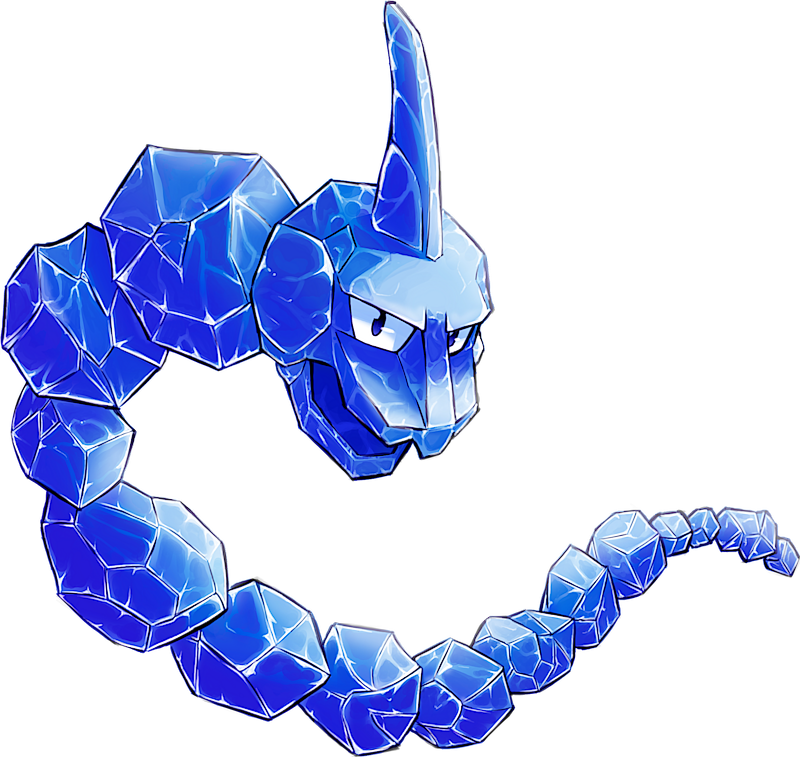 When holding an Eviolite, Onix can reach a maximum Defense stat of 690. This is the highest Defense stat obtainable without the assistance of stat modifiers, Abilities or items with adverse effects. 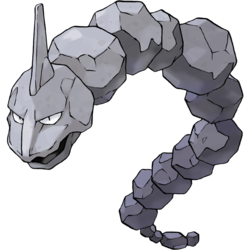 Onix is the tallest Rock-type Pokémon and tallest unevolved Pokémon that can evolve.